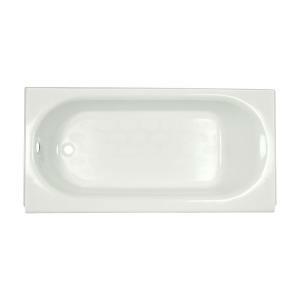 Durable and comfortable, the American Standard Princeton 5 ft. Americast Left-Hand Drain Bathtub in White is a great addition to your bathroom. It's made of Americast, which is similar to cast iron but is lighter in weight, strong and easy to install. For comfort, there is lumbar support and a beveled headrest. The bottom has slip resistance for safety.